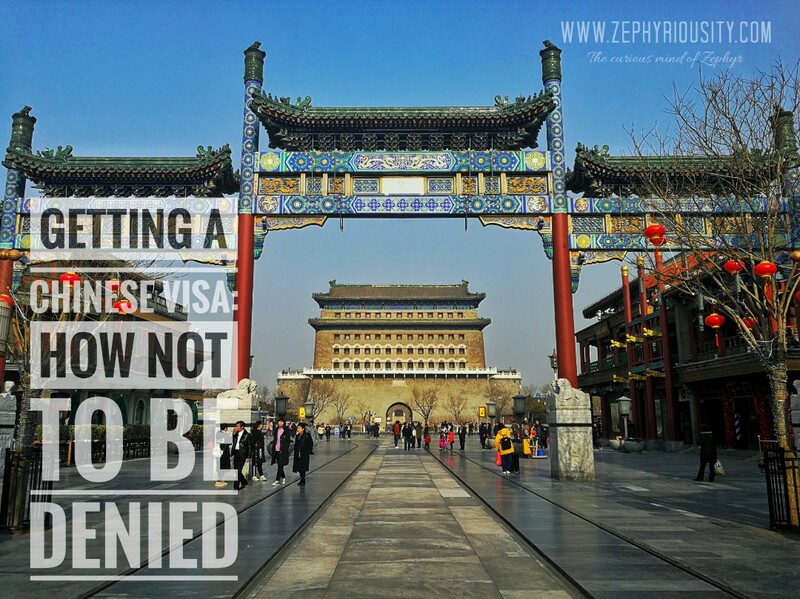 Actually, I am not really sure how someone can be denied from getting a Chinese Visa. He/She might have not completed the requirements needed or didn’t have enough proof that he/she can travel and stay in the land of China. Day 1 of application, I was on the counter, ready to submit all of my requirements when a woman past me was called. Without further ado, the woman behind the counter, told her that she has been denied and gave her passport back. I was shocked for a moment, thinking that this might be a bad omen. But then they accept my requirements (with some handwritten changes on the form) and told me to be back at the said date on the pink paper they gave me. It was after 4 days, including weekends. Later that afternoon, I received a call from Chinese Embassy telling me that I have to be there the day after my submission for an interview. I was surprised because I have never read a post regarding getting a Chinese Visa with an interview from a consul. So, Day 2, I went back to the Chinese Embassy for my interview. I waited for around 30 minutes before the consul see me. Gladly, the Consul was nice and friendly. Suddenly, i didn’t feel worried. But I have to admit that the interview was hard because I can’t quite understand her. She was behind the counter which made it hard for me to hear. I will post the possible questions that can be asked during the interview. After the interview, the woman from the counter where I submitted my requirements changed the date of my passport receiving with an additional day. 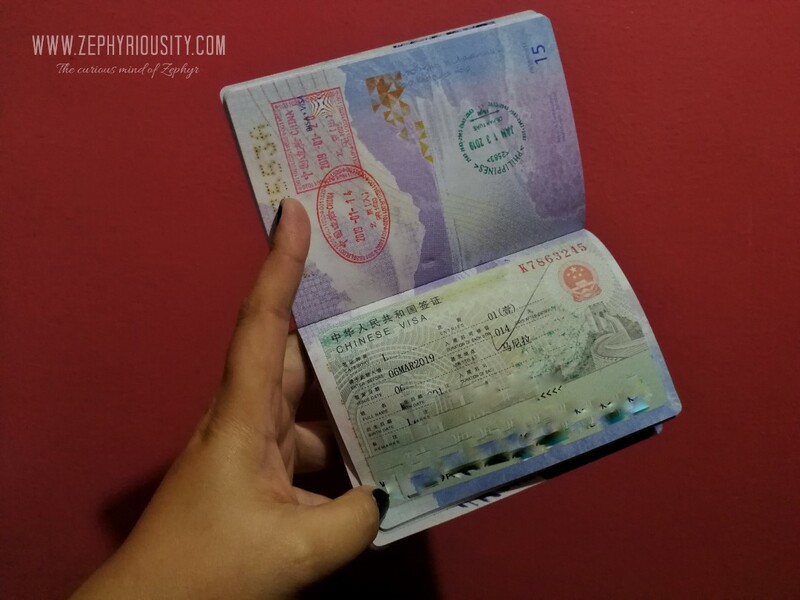 Day 3 at the Chinese Embassy – the day where I got my passport with its very first Visa stamp. Zephyriousity is about to conquer China! I got my Chinese Visa. But, HOW? How did I get an approval, and the other woman didn’t? What are the requirements that I have provided? See the list that I have submitted. A photo within six months that follows the requirement for Chinese Visa – 33 mm (wide) by 48 mm (high). The head width should be between 15 mm and 22 mm and the head height should be between 28 mm and 33 mm, measured from the bottom of the chin to the top of the head. This is very important because when they didn’t notice my ITR, they asked me where it was. Though the Form has a section for the itinerary of your travel, I decided to print a seperate paper for this. Details of the itinerary includes the date, activities, hotel address, arrival and departure to China. Your real monthly compensation has to be written it including your position, tenure, etc. Notice that i have emphasize “real” because some people can get their HR create a fake high salary for Visa applications. This is a No-No because it can reflect on your ITR. All applicable details should be computerized and not hand-written. Ensure that everything is stated and no important details have been left behind. Confirm if your passport is new or has been renewed. Adding your family member’s name might not be okay when typing on the computer, I had this hand-written because they noticed that it was blank. I guess this is okay though. If renewed passport, make sure that you have your old one/s. Photocopy of your passport is necessary – I have a photocopied of the first page only. Chinese Embassy Contact Details – Click here. 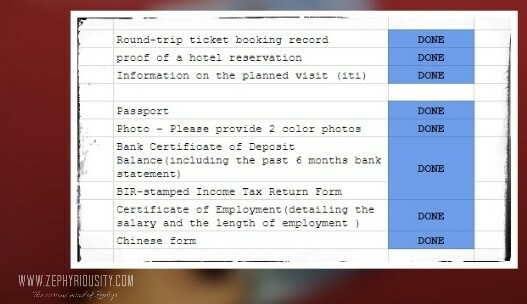 These are the list of requirements for Filipino that I had upon my Chinese Visa Application. To be honest, it was fast and easy. You wouldn’t spend an hour or two at Chinese Embassy for the processing. Just make sure that you have everything!